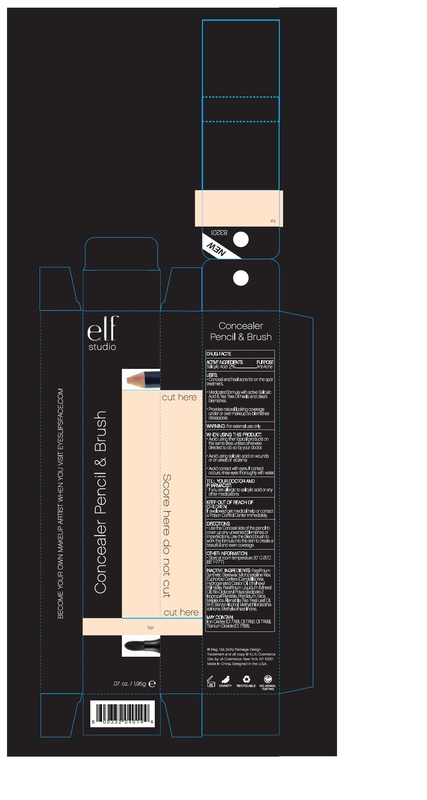 Use the conceal side of the pencil to cover up any unwanted blemishes and imperfections. Use the blend brush to work the formula into the skin to create a beautiful and even coverage. Synthetic Beeswax, Microstalline Wax, Euphorbia Cerifera (Candelilla) Wax, Hydrogenated Castor Oil, Ethylhexy Palmitate, Paraffinium Liquidum (Mineral Oil), Bis-Diglyceryl Polyacyladipate-2, Isopropyl Myristate, Petrolatum, Mica, Melaleuca Alternafolia (Tea Tree) Leaf Oil, BHT, Benzyl Alcohol, Methylchloroisothiazolinone, Methylisothiazolinone.